MODERNIST MASTERPIECE situated on a private 12.18 Acre country estate with stunning panoramic vistas. This Architectural beauty has been artfully designed with curved walls; creative volume ceilings; clerestory and ribbon windows creating walls of glass to welcome natural light and outside visuals without sacrificing privacy. At the heart of the home the Gourmet Cook’s kitchen; Formal and informal eating areas; and great room overlooking the expansive covered pool area with summer kitchen is an entertainer’s dream. The enormous Owner’s en-suite with adjoining sitting area with fireplace and upper level library were designed as a quiet escape as you overlook the tranquil screened Zen garden with koi pond. The detached 1,884 square foot building makes a perfect Artist’s studio; fitness center; Game room, or guest quarters. For car lovers; there are 6 covered spaces. 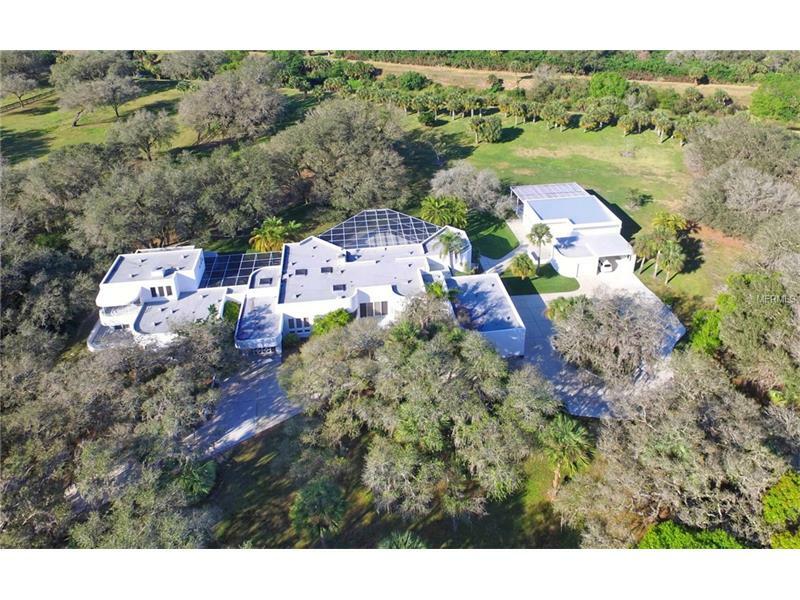 At the rear of this estate you can enjoy direct access to 28 miles of Saddle Creek equestrian bridle riding trails where you can also take long bike rides and nature walks. This timeless design and unique property will capture your heart. Adjacent 6.41 Acre Building Lot (Lot #53) can also be purchased creating an 18.59 Acre Estate.